As the week is starting to settle into a post-Valentine’s Day torpor, we’re sure that many of you have stashes of chocolate left-over from friends and lovers that will be greedily consumed over the weekend. 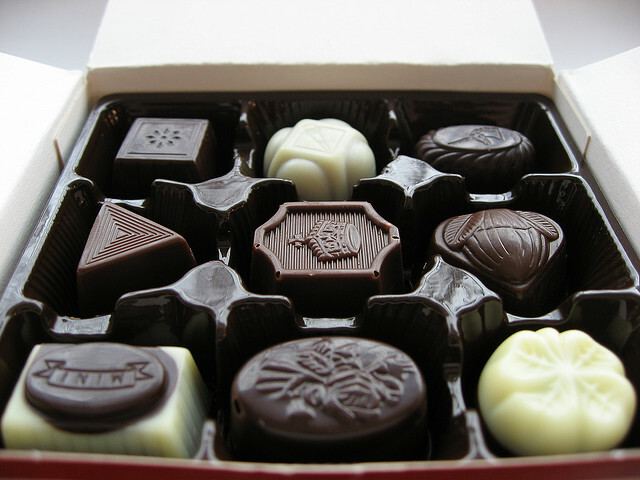 In perfect timing, Berkeley Wellness Alerts released an article that reports that chocolate may have positive effects on your heart – in this case, distinct physical effects, not just the emotional rush of receiving sweets from loved ones. The British medical journal, BMJ, released a review in which the data of seven observational studies on chocolate consumption was analyzed. 100,000 subjects participated in the studies. The report concluded that, controlling various dietary factors, the subjects who ate the most chocolate had a 37 percent reduced chance of having heart disease and a 29 percent reduced chance of having a stroke compared to other participants who ate less chocolate. Furthermore, another review was published in the European Journal of Clinical Nutrition in which 10 clinical studies on chocolate consumption was analyzed. The report revealed that eating dark chocolate for 2 to 12 weeks lowered cholesterol levels. Although we assume that most Berkeley students are not at the age in which heart disease, cholesterol levels and strokes are an impending risk, chocolate can arguably be an insurance against a future in which our terrible eating habits (McDonalds all day, every day) unleash their terrible revenge against us. Of course, the fact that chocolate may have some health benefits does not excuse having twenty empty Snickers wrappers decorating your desk. Although chocolate is made from cocoa beans, companies often aim to reduce flavonoid compounds during processing to minimize the bitter flavor they produce. Also, many popular chocolate brands in the U.S. have added unhealthy ingredients such as caramel, nougat, sugar and fats (100 Grand, we are looking at you) which neutralizes the moderate health benefits. So, to conclude, dark chocolate is a great occasional snack that can have good health benefits for you such as lower cholesterol levels and reduced risk of heart disease and stroke. So when devouring your chocolate stash over the weekend, 1) moderate yourself and 2) try to go for the darker chocolate, although white and milk chocolate is indeed delicious. Also, subscribe to Berkeley Wellness Alerts for (free!) regular emails on up-to-date health advice. It will most likely increase your lifespan! Criticism is not a bad thing in general. I thus enjoyed all of this website and I’ve book marked your blog to keep up with the new topics you will publish in the future.